The president's controversial "voter fraud" commission has been disbanded, the White House announced Wednesday evening. 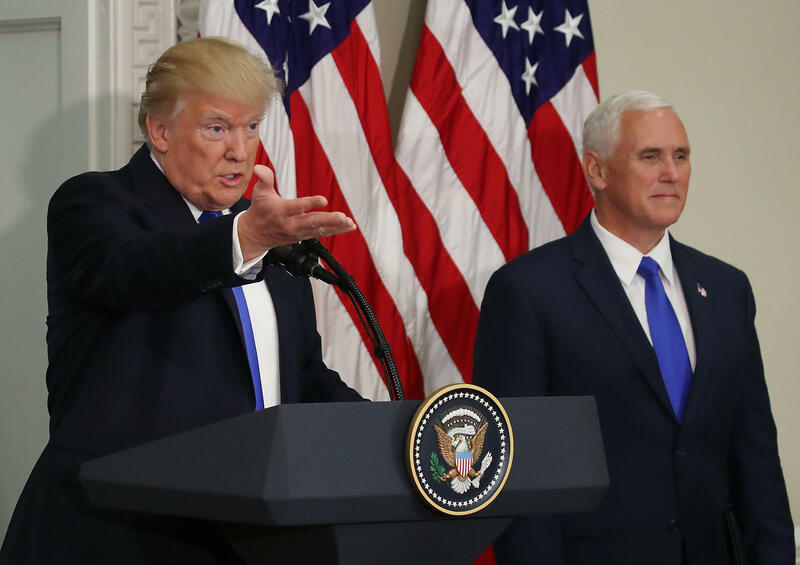 "Despite substantial evidence of voter fraud, many states have refused to provide the Presidential Advisory Commission on Election Integrity with basic information relevant to its inquiry," Mr. Trump said in a statement released by White House press secretary Sarah Sanders. "Rather than engage in endless legal battles at taxpayer expense, today I signed an executive order to dissolve the Commission, and have asked the Department of Homeland Security to review these issues and determine next courses of action." The announcement comes as the commission is embroiled in multiple lawsuits, including one brought by one of its own members. Maine Secretary of State Matthew Dunlap, a Democrat, claimed the commission was withholding requested records from its own members. Kris Kobach, the Kansas Secretary of State who served as vice chair of the commission, said at the end of last year the lawsuits were slowing the committee down. The Government Accountability Office (GAO) had accepted a request to review the voter fraud commission in the middle of the controversy. The commission was originally formed to address the president's concerns about voter fraud. But the commission quickly attracted criticism over transparency concerns and demands that states hand over voter data, alarming liberals and some conservatives alike.